Celebrating each individual's sacred story in the Biblical story and everyday life at home. Please contact Tammie Bond if you are interested in baptism for your infant, child or as an adult to find out the next baptism workshop dates. 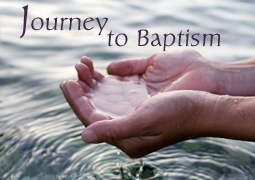 Next Baptism Workshop is on January 13th from 9am-noon.